The Badlands Summit Backpack is an improvement on Badlands’ old pack called the Badlands 4500 Pack, which it has since replaced. Now, as some readers might already know, the 4500 was a feature-heavy pack loved by many outdoor enthusiasts. So whatever replaced it had to be one heck of a pack! And indeed the Summit does a great job filling those big shoes of the 4500. Since the Summit is designed after the 4500 Pack, it comes with all the qualities and features of the 4500 but weighs 3 pounds less and has a new suspension as well as a brilliant pack bag. In this Badlands Summit Backpack review, we are going to see why many avid hunters and outdoorsmen and women rely heavily on the brilliance of the Summit Backpack during their various expeditions. 1.11.1 Q. Who are the manufacturers of the Badlands Summit Backpack? 1.11.2 Q. What are the dimensions of the pack? 1.11.3 Q. What is the total weight of the pack? 1.11.4 Q. What is the total storage capacity of the Badlands Summit Backpack? 1.11.5 Q. Is the Summit waterproof? 1.11.6 Q. Does the Summit pack come with a rain cover? 1.11.7 Q. What colors can I purchase the Badlands Summit Backpack in? 1.11.8 Q. How many pockets does the pack come with? 1.11.9 Q. 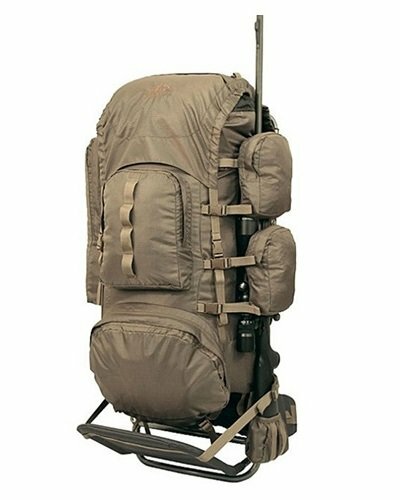 What is the best way to carry a rifle with the Summit? 1.11.10 Q. Does the Summit Pack come with a warranty? One of the most prominent features of the Badlands Summit Backpack is its removable lid, which performs a number of important functions. As the name implies, the removable lid, can be easily removed and used on its own. The lid has an excellent storage compartment which can be used to house a number of essential things, including a 2 liter water reservoir. It also comes with a small pocket on its top, which not only stores things but makes them easily accessible. The Summit is made of 900D Ripstop fabric, which is a material renowned for its strength. The interesting thing about ripstop fabric is that despite being very strong, it is also a very light material. It is for this reason that Badlands engineers decided incorporating it in the Summit to give the pack immense strength while keeping it ultra-light at the same time. Another important feature of the Summit is its water resistant quality. The water resistant construction of the pack, which is made possible as a result of the 900D Ripstop fabric, has the ability to protect the contents of the pack to a certain degree from being soaked during a downpour. This puts the hunter’s mind a little bit at ease during a heavy rain so that he or she can concentrate on tracking a prey. The pack comes in an excellent camouflage pattern which makes it very easy for the hunter to blend into the brush so that his or her presence isn’t easily visually detected by animals. When a hunter is able to blend with the surrounding environment very well, then he or she significantly increases his or her likelihood of having a successful hunt. The Summit comes in two different sizes: the Medium size and the Large size. This is very important since we all have different torso lengths. The Medium size fits people whose torso lengths fall between 18″-21″ whereas the Large size fits people whose torso lengths fall between 21″-23″. AirTrack™ Suspension which promotes proper air circulation and keeps you cool. Load lifter straps which make it very comfortable for you to carry heavy loads since they have the ability to transfer the majority of the weight of the load in the pack to the hips so that your weaker shoulders and back don’t have to carry the majority of the weight. Waist belt that effectively distributes the weight of the pack. One does not need to worry about keeping hydrated when using the Summit since it allows you to fit a 3 Liter Water Reservoir in its main compartment and a 2 Liter Water Reservoir in its removable lid. With this, you are assured of being hydrated all the time. The pack is very comfortable and is designed in such a way that it helps the wearer to carry heavy loads comfortably. It comes with numerous pockets, stash zones, and easy access zippers which allow for proper organization and easy access to your gear. The quality of the pack is great. The AirTrack™ Suspension that the pack comes with keeps the wearer’s back comfy and dry all day long. It incorporates lift straps that do not strain the shoulder. It is very good for carrying either a bow or a rifle. It comes with a very strong polycarbonate frame that is also lightweight. The zipper pulls are not only easy to grab even while wearing gloves but they are also quiet. The pack is capable of conveniently storing all your gear, thereby allowing you to enjoy the free use of your arms for things such as climbing and glassing. On top of not being waterproof, the Badlands Summit Backpack does not come with a rain cover. Q. Who are the manufacturers of the Badlands Summit Backpack? A. Badlands Packs are the manufacturers of this pack. Badlands has been in the business of producing and designing hunting packs, hunting accessories and apparel for a number of decades now. Q. What is the total weight of the pack? Q. What is the total storage capacity of the Badlands Summit Backpack? A. The Summit pack has a total storage capacity of 5,400 cubic inches, which makes it capable of carrying lots and lots of loads. Q. Is the Summit waterproof? A. While the pack is water resistant, it isn’t waterproof, which means water can still get into the pack and wet your gear. Currently the only way to keep water from entering the pack is by using a waterproofing spray. Q. Does the Summit pack come with a rain cover? A. The pack does not come with a rain cover. Q. What colors can I purchase the Badlands Summit Backpack in? A. You can get this pack in Realtree AP-Xtra. Q. How many pockets does the pack come with? A. The Summit has approximately 7 pockets. Q. What is the best way to carry a rifle with the Summit? A. The best way to attach a rifle to the pack is by using the mesh pockets at the bottom of the sides of the pack. All you need to do is place your weapon’s buttstock there and secure it with the straps the pack comes with. Q. Does the Summit Pack come with a warranty? A. Yes! The Summit Pack comes with an unconditional lifetime warranty. As a matter of fact, all Badlands’ products come with a lifetime warranty. This means that regardless of how long you have used the pack, Badlands will help you fix or repair it whenever you have a problem with it. All in all, the Summit is a backpack that is designed is designed to give a hunter everything he or she needs for a multi-day wilderness hunt. Its massive storage space and ultra-light nature coupled with great features such as its shoulder lift-straps, polycarbonate frame, well-shaped waist belt and Air track suspension, make the Summit one of the most comfortable and useful backpacks currently available on the market. 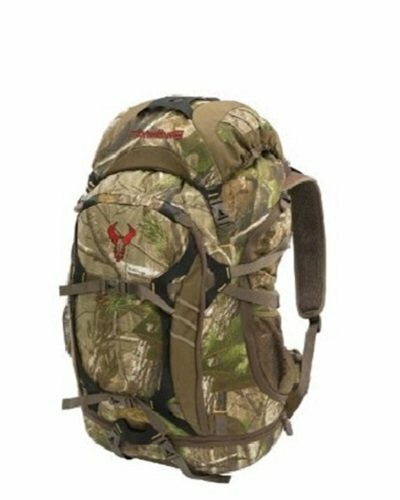 And we believe that having read the Badlands Summit Backpack review above, you are armed with sufficient information to decide for yourself whether you need this backpack on your next hunting trip or not.